Now you want to enable or disable the status of your form fields based on a user input. That is possible using JotForm's Conditional Logic. 1. 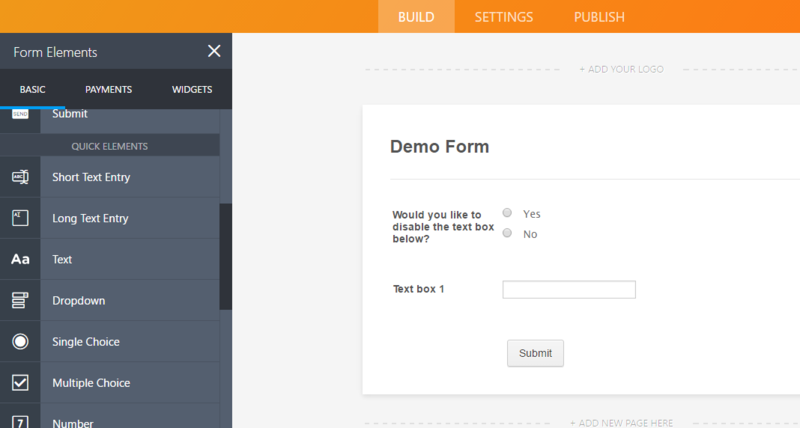 Here's a sample form set up where I am asking the user if he/she would like to enable or disable the form. 2. 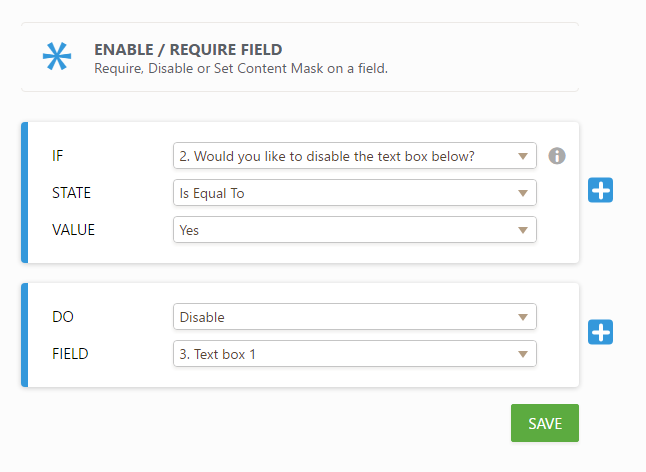 To add a condition, navigate to Settings->Conditions and choose "Enable/Require Field". 3. Here's how my condition is set up. "IF" statement => This is the rule needed to be met for the conditional logic to be triggered. "DO" statement => This is the action that will be done when the "IF" statement is true. => This button allows you to add multiple "IF" and "DO" statements in your conditional logic. 4. Save your changes and test your form. In what kind of situation(s) would you recommend using enable/disable instead of hide/show? I was excited to discover this option!! However my need is slightly different, I wish to prefill a number of email addresses, and disable them unless the corresponding name is entered in the associated field, can you help with this? URGENT! Account disabled, suspicion of pishing. Please restore now!